Both wet rooms and traditional bathrooms add functionality to your home. They provide a place to get ready in the morning and a way to unwind at the end of the day. While these spaces have similar features, such as toilets, sinks, and mirrors, the way they are set up and function can be very different. We will outline the differences between the two spaces so that you can make an informed decision about which room is better for your home. Both wet rooms and traditional bathrooms can have different styles, designs, and layouts. While you are likely familiar with some of the ways a bathroom can be laid out, there are a few distinct differences in a wet room. Wet rooms are designed to shower and bathe with no barrier separating that area from the rest of the room. There is no curtain, splash panel, or shower door, so the water could conceivably leave the bathing area to splash the space around it. The area is completely and thoroughly waterproofed so that there is no need to worry about splashes or water containment. In some large bathrooms, wet rooms may be a part of the traditional bathroom design by moving the wet room to a separate alcove. Like traditional bathrooms, wet rooms contain other common fixtures, such as toilets, sinks, and medicine cabinets. A wet room can be built in different styles and layouts to make the most of the space. 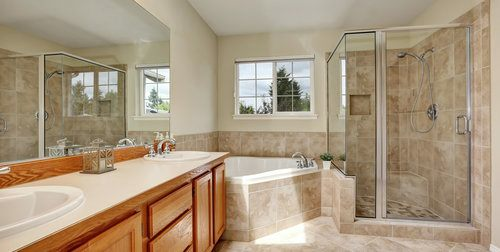 The amount of space you have to work with may influence your decision for creating a wet room or traditional bathroom. Stall showers installed in conventional bathrooms can be as small as 30-inches square, with most measuring 38 inches or larger. While you do not need a specific size, anything in a wet room placed near the showerhead or body sprays could become wet. This includes things like toilet paper, hair dryers, and makeup. Therefore, it is best to create the wet room area where other fixtures and items will be out of the way of the spray. In most cases, wet rooms allow for great flexibility of movement, which is an advantage. There is no curb to step over or door to navigate, which makes the wet room an ideal setup for people who have disabilities or trouble with mobility. While there are differences in the installation between a traditional bathroom and wet room, these are mostly negligible. Both spaces have the installation of a toilet, sink, faucet, shower or wet area walls and floor, drain, and showerhead. The differences mainly come in how the wet area is treated. In a traditional bathroom, the area is separated or contained, usually by a door, panel, or curtain. While the walls outside this area may be waterproofed, they do not need to be. 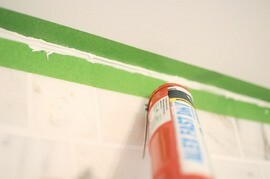 So, drywall 1 or a cement backer board, which are not normally meant for wet areas, may be used. In a wet room, the entire space is treated with the same waterproofing material. 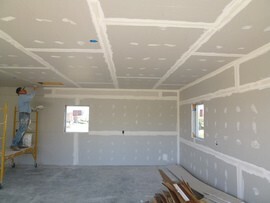 Vapor barriers 2 and a specific type of backer board are used throughout. There is no curb and thus no need to caulk 3 and risk leaks over time. Another big difference is in the flooring. 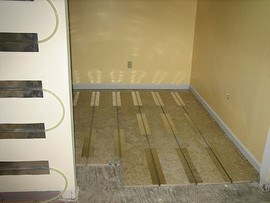 In a wet room, the floor must slope to the drain everywhere. This means using 2-inch or smaller tiles throughout most if not all of the room or switching to a smaller tile in the pattern as you approach the slope of the drain. These differences are fairly minor, however, and will not typically impact the installation time. While waterproofing the wet room takes time, so does creating a shower tray and installing shower doors. So in the end, installation requires about the same time. On average, wet rooms cost about 20 to 30% more than a typical bathroom installation. This is due mostly to the preparation necessary to waterproof the area. Both rooms use similar materials for tile, fixtures, and valves. They also use many of the same materials for finishing the wet areas, including membranes and various types of tile, which can impact prices. In any bathroom renovation, the biggest driving cost is size. The average price of a bathroom renovation is $125 a square foot, so the larger the space, the higher the total expenses. For a 144-square foot traditional bath, the cost will be about $18,000 for materials and installation. The same is true for a wet room, but with the added expense of completely waterproofing the space before the finishing materials can be put down. So, the price is closer to $150 a square foot, which means that a 144-square foot wet room would cost about $21,600. In both spaces, the degree of upkeep you need to perform is tied largely to the materials you choose. Using natural stone or specialty metal finishes means more maintenance than using porcelain and chrome. However, in some wet rooms, extra ventilation may be necessary to prevent mold and mildew growth. This is because the room is so waterproofed that often it can be more difficult to completely dry after use, which may lead to mold growth. Because a wet room is designed to get wet, any splashes are less likely to cause damage. Radiant floor heating 4 is a popular addition to many bathrooms, giving you the option to step out of the shower onto a warm floor. 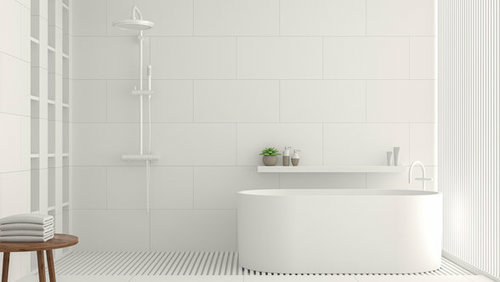 In a wet room, you still have the option of using radiant heating, but you must confine it to areas that are away from the majority of the water. For example, installing it in front of the sink area is usually fine, but you do not want it directly in line with the spray. Wet rooms are gaining popularity with homeowners who want to age in place and have mobility issues or disabilities. Because there is no curb, door track, or barrier to entry, it is easier to use the space for people who use mobility aids such as wheelchairs. Traditional bathrooms can be modified to make them accessible, with curbless showers or additions such as walk-in tubs, roll-in showers, grab bars, and transfer seats, but wet rooms are typically easier and may be less expensive than modifying an existing room. Wet rooms and traditional bathrooms have about the same resale value. Bathroom remodels currently recoup between 56 and 70% depending on the level of quality of the materials. Because wet rooms often use higher quality materials and are considered a luxury addition, they may recoup slightly more at time of resale. However, most homeowners want to have at least one conventional bathroom in the house. Therefore, remodeling the only bathroom to become a wet room may harm resale rather than improve it. The lack of a bathtub in the home may also hurt resale value. How much does it cost to build a wet room or a traditional bathroom in my city? Cost to build a wet room or a traditional bathroom varies greatly by region (and even by zip code). To get free estimates from local contractors, please indicate yours.